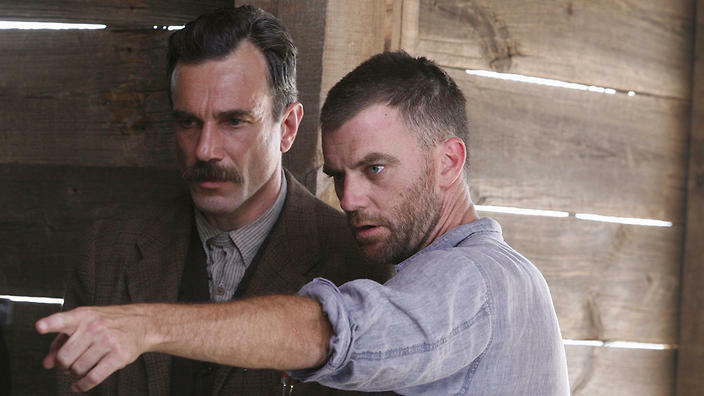 I've been keeping quiet over my excitement for a new Paul Thomas Anderson movie for a couple of reasons. One: I was a little disappointed by Inherent Vice, the first time it can ever be said that I was disappointed by an Anderson film. Two: we've heard so little about the film, which reunites him with There Will Be Blood's Daniel Day-Lewis, that it was hardly worth getting worked up over. Well, now at least we have an official title. Continuing their creative collaboration following 2007’s There Will Be Blood, three-time Academy Award winner Daniel Day-Lewis stars in Phantom Thread from Paul Thomas Anderson. The writer/director will once again explore a distinctive milieu of the 20th century. The new movie is a drama set in the couture world of 1950s London. The story illuminates the life behind the curtain of an uncompromising dressmaker commissioned by royalty and high society. Of the few potential awards contenders left, Phantom Thread is the only one we've seen absolutely nothing of. Hopefully that is about to change.